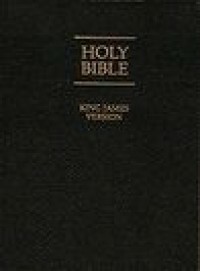 Holy Bible: King James Version - M's blog. Haha.I don't even know what to write. Have to read this for school and it took quite a long time. - Eh, I thought this book would be an amazing thriller: lots of deaths, rapes, wars, sacrifices, etc. Sounds exciting, no? - Some accurate historical facts. - Okay, religious views aside, this book was poorly edited and just seemed like a bunch of books put together in one, zero character development, a bunch of bias, too long to get the point across, etc. Somehow I highly doubted most of the people who rated it 5 stars didn't actually read all of it. - How the hell is this the best - selling book of all time? - I hate the characters. All of them. Especially Lot aka the dude who offered up his daughters to be gang raped.